DWC business setup | Dubai world central company formation with all facilities. DWC is one of the prestigious and cost effective free zones available in Dubai city. 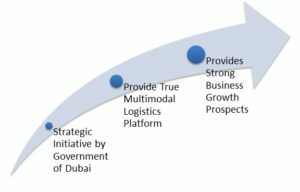 DWC ensures that Dubai’s leading position as a logistics and trade hub remains intact. It takes advantage of Jebel Ali Port and connects to Al Maktoum International Airport through the dedicated Dubai Logistics corridor. Dubai business advisors helps you in DWC business setup. The creation of DWC as a free zone was an initiative taken by Dubai government to transform the city into a leading business, trade and aviation hub. DWC provides quick and effective connectivity options and is located in the strategic location that encourages strong business growth. The businesses that run under the DWC free zone are not entitled to pay tax or associated tax related components. You are the owner of your business and there is no corporate tax imposed as well. As a DWC member, you can easily access resources required to grow your business for the betterment of the company you are associated with. DWC provides wide range of services related to registration, lease and licensing. They offer services related to lease and licenses for business set up different in free zone. The client needs to submit the registration and licensing application form for DWC-LLC setup. Valid passport copies of any person listed as Director, Shareholder, General Manager and Company Secretary listed in the application are also verified. Certificate of incorporation, valid trade license with two copies of the Memorandum of Association and the articles of association of the DWC-LLC with the name of the company to be setup has to be signed by all stakeholders. You can open a new branch in an overseas company or in an UAE registered company by filling registration and licensing application. Copy of signed board resolution, certified true copies of the Memorandum or similar company documents and certificate of good standing is required to complete this process. The DWC fee or set up fee for DWC-LLC or branch registration is 10,000 AED.The license fee of 10,000 AED and additional 5,000 AED is added for each new business activity. The cost to setup a freezone company in DWC is AED 33,000 with a digital office space and an eligibility for 2 visas. DWC furnishes a tax-efficient operational environment and 100% ownership of the business in the freezone.